The ‘Fearless Girl’ Statue Was Originally Supposed to Be a CowThe story of the bovine statue that could’ve been. 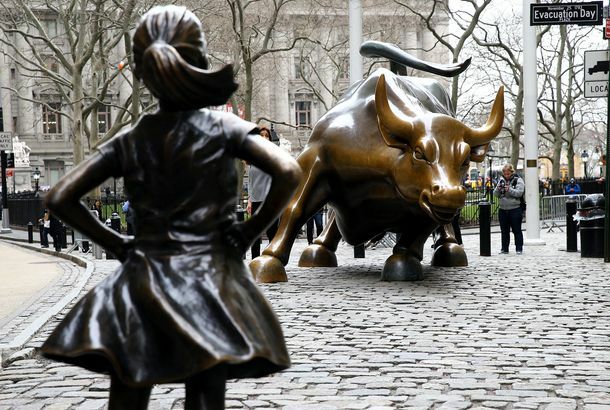 The Fearless Girl Statue Was Originally Supposed to Be a CowThe story of the bovine statue that could’ve been. Italian Town Wants to Erect Statue of Trump in Its ‘Park of Honor and Dishonor’Donors have already raised $100,000. Modern Deity Rihanna Poses With Giant Headless Statue of HerselfIt was erected for the Berlin Biennale. ‘Scary’ Lucille Ball Hometown Statue Finally Gets a Stunning ReplacementIt’s non-nightmare-inducing now! 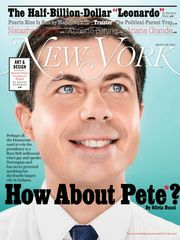 A Bunch of Women Are Funding This Dude’s Michelangelo-Themed Plastic SurgeryHe wants to look like the David. Statue of Underdressed Man Terrorizes Wellesley CollegeArt in its underwear causes a campus mini-scandal. Queens Hates Sexist Statue, Still Doesn’t Want Brooklyn to Have ItAnthony Weiner should have sold it when he had the chance. Support the Online Campaign for a RoboCop Statue in DetroitLearn more about the issues. Watch Movers Drop a 100-Year-Old StatueBelgian workers were no match for the average-size monument. Where Nick Knight’s 30-Foot Naomi Campbell Statues Should GoNick Knight is making a few 30-foot tall statues of Naomi Campbell. We have some comical ideas about where they should go.